It is now 319 days since a Tamil family, including their two Australian-born children, were removed from their home in the central Queensland town of Biloela, to be held in uncertainty in immigration detention. This weekend a series of rallies will be held around Australia to press for Ministerial intervention to enable the family to remain in the country, reports Simone Cameron, a member of the Home to Bilo group that is campaigning on the family’s behalf. Follow #HomeToBilo for more news. While many of us were gearing up to celebrate Christmas, a Tamil family in immigration detention were facing their worst fears. 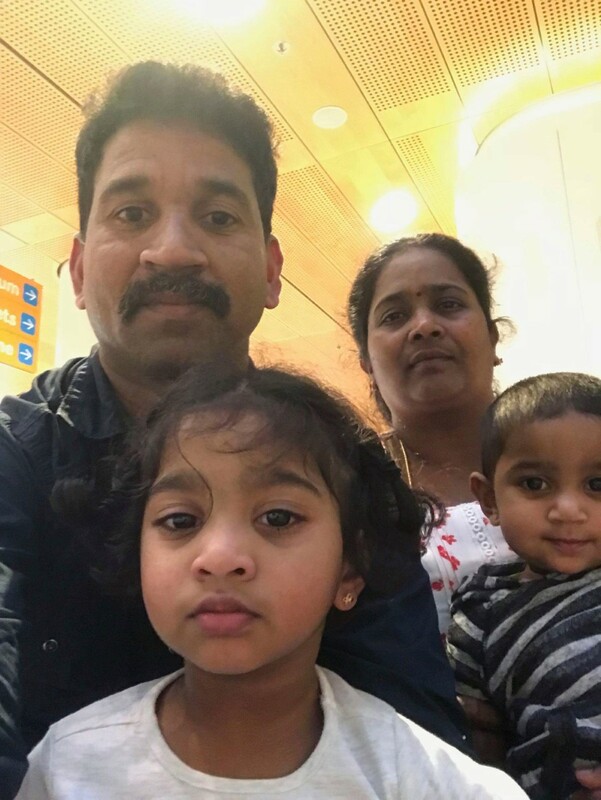 This family – husband Nades, wife Priya, three-year-old daughter Kopika and one-year-old daughter Tharunicaa – had just been informed that their appeal had been dismissed by Justice Middleton, in the Melbourne Federal Court. This appeal related to the refusal of a Safe Haven Enterprise Visa for Priya and Kopika (the complexities of Australia’s immigration law mean that Nades and Tharunicaa were not able to be included in Priya’s protection visa application). After hearing the news, I rang Priya and Nades. The usually chatty and friendly couple were now monosyllabic in their replies, isolated in their devastation at this latest blow. We cried together, and I told them we would talk again soon and work out the next plan. Within a few days, the Home to Bilo group, which has been campaigning for the family since their detainment, had planned a last-ditch campaign strategy. 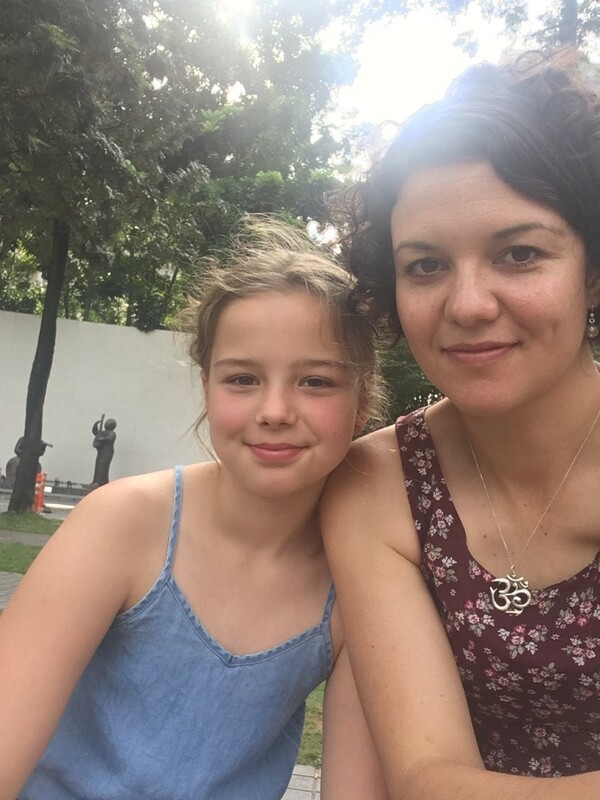 My nine-year-old daughter Isabelle and I decided that we would travel back to Australia (from our new home in Malaysia) to stand up for this family for what might be the last time. Priya, Nades and their two Australian-born daughters, Kopika and Tharunicaa, have been detained in Melbourne’s Immigration Transit Accommodation Centre since March last year, when they were removed from their home in Biloela, Queensland. I’ve written about them before for Croakey: Children stand together with three-year-old in detention on her birthday; and Bilo: the little country town that is roaring in defence of asylum seekers. In the ten months of their detainment, they have endured much. A week after their removal from Biloela, they were put on a plane bound for Sri Lanka. Last minute legal intervention meant that they were then taken off the plane and sent back to detention in Melbourne. Their Federal Circuit Court (FCC) appeal was heard by Justice Kirton on the 2nd May. She reserved her decision, and the family went back to their anxious, uncertain wait. Soon after that, Kopika celebrated her third birthday in detention. In June, little Tharunicaa celebrated her first birthday in detention. Her first steps were also taken in detention. And then, on Thursday the 21st of June, Justice Kirton dismissed the FCC appeal. Another blow for a family that had endured so much. Just 24 hours after the dismissal of the FCC appeal, at 5pm on a Friday afternoon, Priya and Nades were served with a deportation notice, despite them informing the Department of Immigration officer that they were considering further legal action (Priya’s lawyer was unwell and had been taken to hospital immediately after the decision had been handed down). This deportation notice stated that they would be deported within the next few days. A mad scramble ensued, between the lawyer who was in hospital and the Human Rights Law Program at the Asylum Seeker Resource Centre – who kindly agreed to give assistance while the original lawyer was in hospital – in order to file an emergency injunction to stop their deportation. After a frantic weekend of round-the-clock work, the injunction was granted on Monday 25th June. This injunction has protected the family from deportation until now. An appeal was lodged in the Melbourne Federal Court, and yet again, the family waited. The appeal was heard by Justice Middleton on the 27th August. For nearly four months we waited for the judge’s decision, and had convinced ourselves by mid-December that there would be no answer before the courts closed at Christmas. Then, in the week before Christmas, we received word that the decision would be handed down on the 21st December, the last day before the courts closed. The decision of Justice Middleton, although disappointing, contained one gift. Time. He stated that because of the difficulty of the time of year (many barristers and lawyers take their holidays in January), the family were not to be deported until at least the 1st of February, giving them time to consider their options. The Home to Bilo group has planned a series of protests for Saturday 19 January. Australia’s complex immigration law means that the best solution for the family would be Ministerial intervention. We believe that both Home Affairs Minister Peter Dutton and Immigration Minister David Coleman have these Ministerial powers and could intervene at any time. Over the Christmas period, we started a crowdfunding campaign to raise money for a possible High Court challenge. But a High Court challenge could see our friends left to languish in detention for several more months. With that in mind, the Home to Bilo group are urging people to call the new Minister for Immigration, Mr David Coleman, and ask him to exercise Ministerial discretion to release the family home to Biloela immediately. The following link provides his phone number, a sample script to use, and a quick form to fill which tells us you’ve made the call: bit.ly/CalltheMinister. Petition – please sign and share. • Simone Cameron, a registered migration agent, has previously worked with asylum seekers and refugees in Biloela. On Twitter, follow @simone_cameron_. This weekend, follow #HomeToBilo and Cameron will also report from @WePublicHealth. Below she is pictured with daughter Isabelle.